Tampa Bay has new communities popping up everywhere, as you may have seen. These new communities are on the cutting edge with new technology, ”green” and “smart” homes, and even resort-like amenities. The big buzz as of late has been around Tampa Bay’s new Metro Lagoon communities brought to us by Crystal Lagoons. 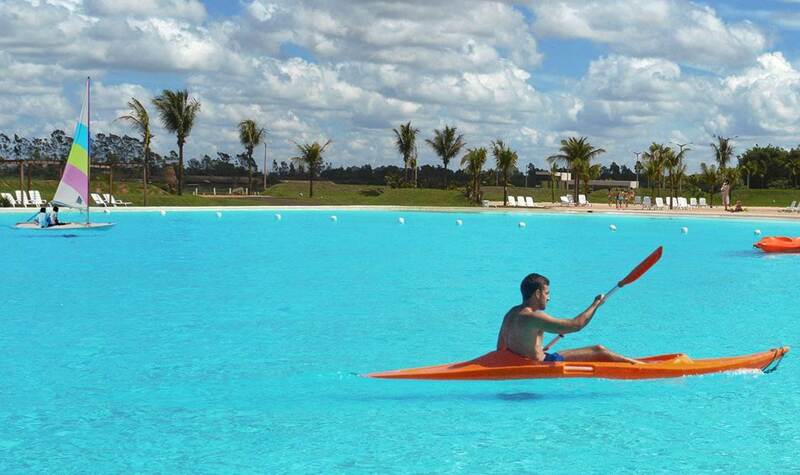 There are currently many Crystal Lagoons around the world in locations such as Panama, Chile, Mexico and Egypt, but Tampa Bay is home to the first Crystal Lagoon in the U.S. There are 3 Lagoon Communities in the works for Tampa Bay, and plans for 9 Lagoons total in West Central Florida. The Tampa Bay Lagoons include Epperson in Wesley Chapel - opening Summer 2018, Southshore Bay, located in Wimauma - opening in Spring 2019, and Mirada, also located in Wesley Chapel will follow soon. The price range for homes in the Metro Lagoon Communities is from the $200s to over $700s. These homes are "smart" ready, meaning they are set up for Smart Control Automation giving the ability to control lights, A/C, and security from across the room or across town, including UltraFi- the fastest WiFi speeds in the country. The community amenities are almost endless: Dog Parks, Miles of Trails, Golf Cart Paths, Grills, Fire Pits, Playgrounds, and of course the Crystal Clear Lagoon. How big are the Metro Lagoons and what can you do? They are Huge! According to Metro Places, the Tampa Bay Lagoon sizes are as follows: Southshore Bay 5 acres, Epperson 7.5 acres, and Mirada 15 acres. There are so many activities you can do including kayaking, peddle boats, diving and snorkeling, paddle boarding, trampolines, water obstacle courses, food truck events, and more!